Amalgam, combination, composite and compound are synonyms for hybrid. The identification of something by classification is as a way of understanding it, and different classifications of art or film embody particular, commonly accepted traits and traditions. A hybrid does not neatly fit into any classification, and the documentaries that were once labeled "hybrid" or avant-garde have emerged as a prevalent category. These films may incorporate essential qualities of traditional documentaries, but they typically question or expand many characteristics that are considered basic documentary traits, and venture into unpredictable—and immensely fruitful—new territory. Alan Berliner is a New York-based independent filmmaker whose many films have been screened in major festivals and museums and been broadcast around the world. Berliner has received Rockefeller and Guggenheim Foundation Fellowships, many awards (including an IDA Distinguished Achievement Award in 1993 for Intimate Stranger), and is on the faculty at the New School for Social Research. He is also known for photographic, audio and video installation work, which is exhibited in galleries and museums. "My work is considered documentary because it is grounded in the real world-in real relationships with real people whose lives can be, and often are, impacted by the very process of the film's making, not to mention the implications of the final product," observes Berliner. "I also work with real elements: historical documents, archival imagery and sound, anthropological and cultural research, biography and the presumption of mutually shared experience with my audience. I've never actually used the "D" word to describe what I do. I am first and foremost a storyteller, one who works from within my own experience to open up private aspects of my life for investigation and exploration." Nobody's Business (1996), about Berliner's father Oscar, is both an exploration of his father's identity and a confrontation between son and parent about his own quest as a filmmaker. Berliner intersperses found footage, family snapshots and home movies with on-camera interviews, and punctuates the narrative with a poignant score. "The best examples of traditional documentary film manage to open up windows to the world," he says. "They take us places too far away to visit by ourselves; they introduce us to characters and stories we would never encounter on our own; they expose us to ideas, issues, systems, processes and predicaments that most of us have never personally encountered or confronted—many of which are too complicated to understand without some form of help and mediation." "At the same time," Berliner continues, "a good documentary film can also be a mirror that allows us to see many of the simple, even obvious things in our lives-family, community and other kinds of inter-personal relationships, for example—that are often so close to us that we could never see them clearly without the distance of perspective and benefit of reflection." Jay Rosenblatt, a recipient of many fellowships, including Guggenheim and Rockefeller Foundation awards, lives and teaches in the San Francisco Bay area. He has made 15 films since 1980, which are typically short (30 minutes or less), utilize stock or archival footage and are extensively shown on the festival circuit. Human Remains (1998) won 27 awards, including the IDA Distinguished Documentary Award (1998) in the Short Documentary category. The narration weaves a psychological landscape through an oblique approach to his subjects, and is alternately compelling and filled with ennui. Human Remains applies voiceover of private and personal details on Hitler, Stalin, Mussolini and Franco which become twisted in a chilling fashion in relation to their acts of cruelty. "I come from a therapist background with a strong desire to assist in the healing process," Rosenblatt observes. "So certain qualities of documentary—a desire to present some sort of truth to present real people in real situations, to enlighten the viewer, to provide a catalyst for positive change in the world—meshed very well with my background." Jesse Lerner, presently a MacArthur assistant professor of media studies at Claremont Colleges, has screened his films at museums and film festivals internationally. His critical essays on film, photography and video have appeared in numerous media arts journals, and he has a background in visual anthropology. Lerner delves into the culturally, materially, politically, artistically and economically blurred lines, crossover and exchange that constitute relationships between the United States and Mexico. Ruins (1999), billed as a "fake documentary," plays with tropes of the medium, not in a superficial way, but to provoke profound cultural questions. Archival footage is intermixed with virtually indistinguishable distressed material, as Lerner explores Western (Eurocentric) interpretations and packaging of indigenous (so-called "primitive") cultures—and how they are transformed into kitsch. "The most important thing we can learn from documentary as it is traditionally conceived and practiced is the importance of research, an inquisitive approach to the world that requires the filmmaker to go out and investigate," says Lerner. "Unfortunately, too often this inquiry does not extend to matters of film form. In other words, too often do filmmakers assume that documentary style is a given, into which any content can be inserted. The films and videos that excite me the most don't take formal strategies for granted, but rather search for those most suited for the project at hand." Caveh Zahedi, who lives and works in the Bay area, studied philosophy before he began making films in 1991. His diary-like films about himself have been exhibited in American and European film festivals, the latter being more responsive to his style, which polarizes viewers between those who find them too self-absorbed, and others who consider them refreshingly unpredictable. He takes his father and stepbrother on a road trip to better his familial relationships with them in I Don't Hate Las Vegas Anymore (1994); in In the Bathtub of the World (2002) he sets out to create a film from daily recordings of his life. Whether he shoots on film or digitally, Zahedi uses the form to alternately focus, illuminate, elevate and make the ordinary fascinating. Directing, taking the camera in hand and making himself the subject, he explores personal relationships, muses on philosophical questions and observes simple, and sometimes startlingly beautiful, mundane moments. Viewers are privy to the self-conscious, ongoing process, which is occasionally uncomfortable, as real time and performance blend together, and he tests his own limits and the structure of a film. Filmmaker Carroll Parrott Blue ( Conversations with Roy DeCarava , 1984; Varnette's World: A Study of a Young Artist , 1979), a producer, film festival curator and professor at San Diego State University, has received many awards throughout her career. Blue recently created The Dawn at My Back: Memoir of a Black Texas Upbringing —An Interactive Cultural History , which won the Jury Award in New Forms at the 2004 Sundance Online Film Festival. 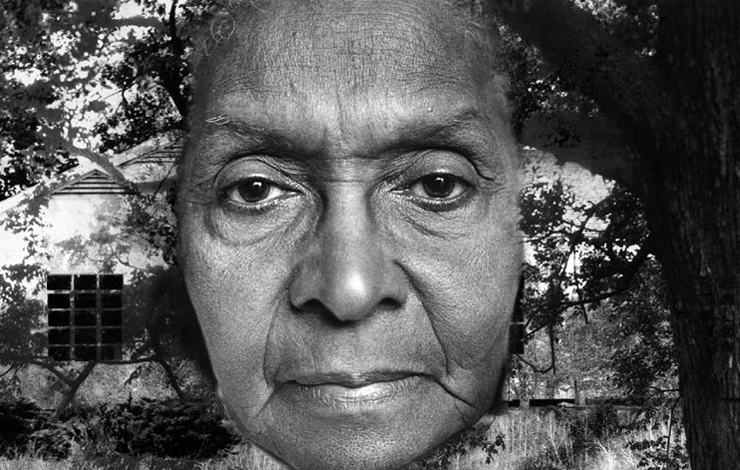 Based on Blue's book memoir of the same title (University of Texas Press, 2003), the DVD-ROM allows viewers to explore narratives and stories that branch from original photographs, video, oral histories and archival materials which are structured around a quilt design created by Blue's great-grandmother, a slave and master quilt maker. The DVD-ROM was created with Kristy H. A. Kang through the Labyrinth Project, an art collective specializing in interactive narrative, which was launched in 1997 under the direction of Marsha Kinder at the Annenberg Center for Communication in the University of Southern California. "I want to document how deeply racism is embedded in our civic, social and personal lives and in our relationships with each other," Blue observes. "With The Dawn at My Back, I am creating a combination book/DVD-ROM/website that invites the reader of the book to become a DVD-ROM user and a website co-author. I find that the interactive, multimedia, non-linear and Internet worlds allow opportunities for readers to become authors. The digital world allows for relationships between analog and digital worlds that are limited in the analog world." Visual artists have both made films and incorporated them as projections within installations, especially since the advent of video in the 1970s. Moving back and forth between installation and filmmaking are Jeanne C. Finley and John Muse, who have worked together since 1989, but only fully collaborated since 1997. Finley, a professor of media studies at the California College of Arts and Crafts, has worked in film and video for over 20 years ( I Saw Jesus in a Tortilla , 1982), and received many awards, including a Guggenheim Fellowship and CalArts Alpert Award in the Arts. Muse is an artist and writer pursuing a doctorate in the department of rhetoric of the University of California at Berkeley. They have exhibited their collaborative experimental documentaries and multi-channel video installations at galleries and festivals in the United States and Europe, and were artists in residence at the Xerox Palo Alto Research Center from 1995-96. Finley's earlier works were more traditional, but began to change in response to allowing the material to dictate the final form of a piece, recognizing, as she observes, "the ability to use documentary materials and give it artistic authority." The pair states via e-mail, "We find storytelling through image and text most riveting when the expectations of the narrative collides with its form, when the expectations themselves appear for critical reflection." Loss Prevention (2000) is based on the story of an elderly woman convicted for shoplifting at a Miami Wal-Mart, who is sentenced to senior citizen shoplifting prevention school and continues to steal. The filmmakers originally conceived this story as a piece for the public radio program This American Life , but they discarded the conventional approach of a talking head opening shot and began to create visual allegories with ideas of revealing or hiding, shooting on video and Super-8. "Once we decided to work with a palette of ideas, and move and manipulate the visual material, the film became more powerful," Finley says. The members of the San Francisco-based collaborative trio known as silt (Keith Evans, Christian Farrell, Jeff Warrin) have been working together since 1990 and produced over a dozen films. Characteristics of silt's past works include an ongoing attraction to Super-8 film and equipment, and a desire to expand or alter the experience and role of the viewer. One doesn't simply view a silt work, but often physically participates and becomes part of it. The film screenings are more performances than screenings in a traditional sense and incorporate a mix of physical objects and materials, cinematic equipment, sound and unpredictable occurrences. The artists in silt describe themselves as "paranaturalists...drawing nourishment from alchemy and the hermetic sciences and Taoist landscape painting, as well as Goethe, naturalist observation techniques and the phenomenologists, amongst others. We employ holistic, integral and receptive approaches to scientific inquiry that intersect with poetic fact and imagination. Our work has as its core an extended idea of cinema; it sculpts with time, becoming an archaic cinematic extension of the body and of the earth." Working with projections, sound, mirrors, lenses, liquids, screens, scrims and even their bodies, the artists operate their equipment and film projectors in a sound and light spectacle that is transitory, experiential and virtually impossible to document. The group uses film that has been biochemically altered with mold and imprinted with insect wings, snakeskin and flora to create a perceptual field where the boundaries between projections, objects, shadows and sounds are blurred. In the fullest sense of "documentary" archiving the basic nature of film, equipment and their subject matter, silt provides an opportunity for reflection on the natural world, allowing it to unfold through perceptual experience. Hybrids are simply another edge of new forms in documentary. Berliner states, "I have always been committed to making films that allow me to reinvent myself, to push the art of cinema in new directions, to invent new modes of storytelling and to embody the conflicts and contradictions of the era in which I live. My films come from a background in fine arts in which I seek to combine and reconcile my fascinations with my needs, a devoted seriousness with the spirit of play and the profound 'public' responsibility that comes with making work from such a deeply personal perspective." Hybrids can also provide exciting prospects for the future. "Documentary is being re-energized to the degree that filmmakers are willing to steal selectively and intelligently from fiction film, the avant-garde, music videos, advertising and other genres to create new, hybrid forms," Lerner observes. "Only by leaving behind the uncritical use of both the disembodied, stifling voice of authority and the narcissism of first-person cinema will documentary be able to create effective new strategies, borrowing from a wide range of filmic languages." Mark Johnstone has written widely about art-most recently, Epicenter: San Francisco Bay Area Art Now (Chronicle Books, 2003)-and is a member of the IDA Board of Directors and serves on the Communications Committee.